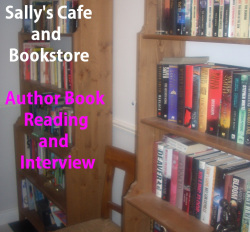 Smorgasbord Invitation – Most Viewed Author Interview – Tina Frisco with a book reading. Tina Frisco – a great choice to kick off a new series offered us by Sally Cronin. Enjoy! I was thrilled to have so many of you over for the Sunday Interview series .. and this year it was the Author Book Reading and Interview.. My first guest was Tina Frisco and the post is still being viewed, making it the highest viewed interview of the year. I have taken the liberty of updating the reviews today. Such an interesting post and wonderful photos! Sally has done it again….calling our attention to books that should not be missed. Check it out! Welcome to another Christmas Book Fair where authors in the Cafe and Bookstore can showcase their books and remind you of their work in time for Christmas. Books are great gifts for young and old… I am sure you will find something to buy for yourself or family and friends. The first feature is for two writers, Jane Risdon who contributed some wonderful posts from her archives and Christina Jones who co-wrote Only One Woman released last month. The eighth book in the gripping technothriller series, Spies Lie, perfect for fans who love Robert Ludlum, Lee Child, and Barry Eisler. Give yourself a treat and get Mrs. Graham’s wonderful book of stories. While you’re at it, you might want to think about ordering an extra one or three to give as holiday gifts. Can’t go wrong! Hey, dear human o’mine…I can meow for myself! Here goes….thank you, Chris.